T-Mobile, this morning, announced that it has partnered with Simon Cowell’s SYCO Entertainment and SFX to produce a brand new music TV show. Dubbed ‘Ultimate DJ’, it seeks to bring together some of the top EMC DJ and producer talent from across the U.S. 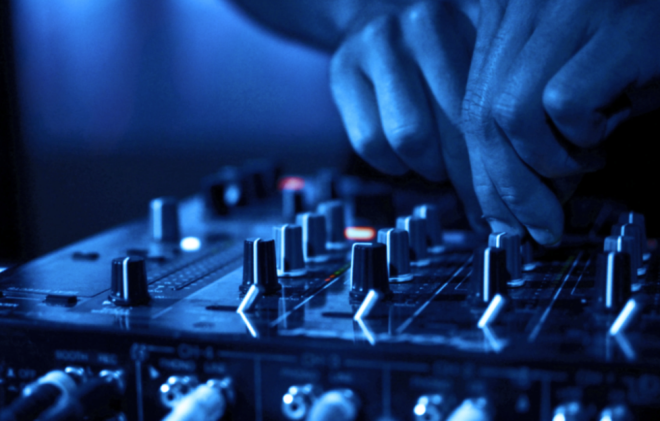 Launching initially online, the music event competition will feature producer-challenges where DJs will be invited to submit recordings for fan voting via social media. From there, the competition will move on to live challenges and performances in SFX event venues, integrating next-generation production design from SFX partner companies. From the sounds of it, it’s similar Simon Cowell’s previous/current shows, American Idol, X Factor and America’s Got Talent, but featuring DJs/Producers. The aim: To bring “EMC to the world”. It’s not the first time in recent memory that T-Mobile’s been involved in the music and entertainment scene. The company put on a special Macklemore show a few months back, and has recently sponsored Shakira’s new album launch. A Simon Cowell-produced show is arguably a much bigger deal and could help spread T-Mobile’s brand further. T-Mobile’s role in the new show: “…joining the pair to bring the innovative show to viewers.” I’d presume that means T-Mo customers can look forward to some interesting exclusive content from the show. You can read the full press release here, including further details on SYCO and SFX who are partnering with T-Mobile for the launch of ‘Ultimate DJ’. ← Will the U.S. ever go truly Un-carrier? Nice, I like T-Mobile and Djing. Let’s see what this brings. Yeah I can see why you would say that, but the way I see it is that tmobile is getting out there and continuing to expand which is always good for customers. Means more marketing and more money coming in which will continue to help LTE expansion and the upgrade from 2g to LTE. Or what about the new FCC spectrum screening proposal that of pass would bar sprint from ever buying t mobile. This is T-Mobile related and it does seem a bit dry for news. There could be an article for upcoming “premium” SG5. While not T-Mobile specific, it does affect T-Mobile customers who may want to wait to buy what should have been the official and only release of the model by Samsung. There is an article on it yesterday from cnet. EMC = Electronic Music Culture…I found it in the press release…Cam just uses it without defining it here. TV show on what network? Brand recognition isn’t a problem for T-Mobile. Money would be better spent on its infrastructure and to exploit its new position as an industry mover and shaker. What’s happening tomorrow? Why do you say that? Let’s get some free tracks. Did anyone mention on this site that Tmobile sponsored Coachella 2014? So what does this mean? There will be more T-Mobile commercials in this show? Constant reminders of “brought to you by T-Mobile”? Stuff like that?